April is a big month for us here at Quickspin, as we’re releasing TWO games this month! The first one up is Durian Dynamite, a fun fruit game with a twist. We’ve taken a timeless theme and put it in a modern package with stunning 3D graphics, unique features, and highly volatile game play – and we’ve also added the world’s smelliest fruit to the mix! It’s our first ever fully 3D-rendered game, and we’re extremely proud of the result. These fruits look so good you’ll be tempted to take a bite! 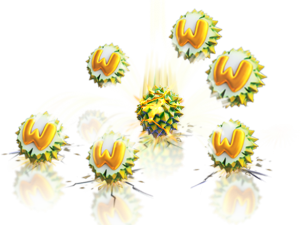 And the symbols aren’t just your standard cherries and watermelons, as the star of the show is the infamous Durian fruit. Did you know that this smelly fruit is also known as “the King of fruits”, and that it only grows in the islands of Borneo and Sumatra? It’s definitely not something you’ll find in everyone’s fruit bowl! 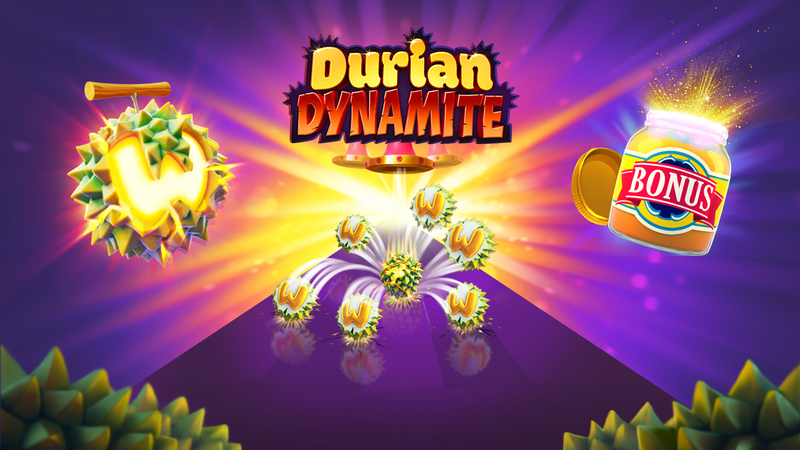 Durian Dynamite boasts several exciting features that are guaranteed to give players a thrilling gaming experience, including a middle reel which spits out Durian symbols that can explode and multiply all over the screen in the Dynamite Wilds feature – a completely unique and original feature! 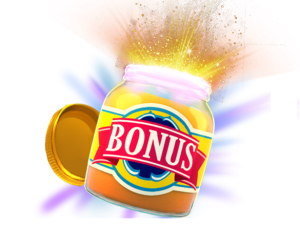 And the interactive Bonus Picker adds to the excitement by giving you 3-6 totally random upgrades for the Free Spins Bonus game. You can get up to 36 Free Spins, increase the number of active reels, or get extra ammunition to use in the Dynamite Wild feature. During the Free Spins Bonus game, you’re also more likely to get Dynamite Wilds on the reels than in the base game. This slot is perfect for everyone, as casual players will enjoy the fun appearance and beautiful graphics, and high rollers will love the excitement and high volatility! Durian Dynamite will be available in all markets where Quickspin is currently present, including the Swedish market. 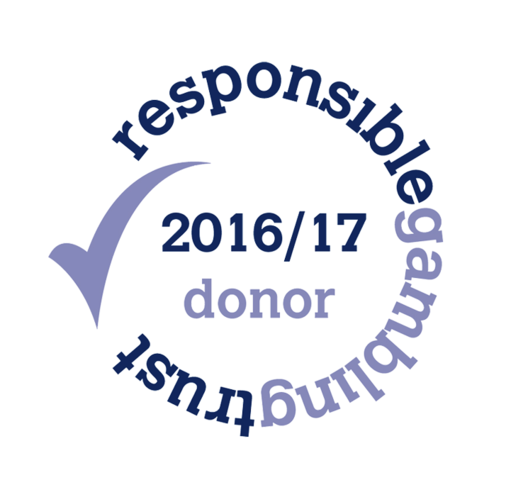 All of the fantastic gamification tools in our Quickspin Promote catalogue will be available from day one, and you can test play the game in our Client Area. We wanted to combine the classic fruit theme with 3D art and high volatility, to make something completely unique and different. If you need any marketing material for this slot, please check the game page for Durian Dynamite in our Client Area. You can download all your graphic material from here, as well as promo videos that you can use in your social media marketing!